Deep Arvor Float deployment in the Northeast Atlantic Ocean, Canary Basin. (1): Instituto Español de Oceanografía (IEO), Centro Oceanográfico de Canarias, Tenerife (Spain). In order to contribute to the Argo International Program Fleet, a Deep Arvor float was deployed in the Northeast Atlantic Ocean, next to La Palma island (Canary Islands archipelago). This area is mainly known by its drastic depth gradient, which can exceed 4000 m of depth (Figure 1). Getting oceanographic data from this threshold to surface confirms another step forward in the oceanography era. Figure 1. Deep Argo float deployment area next to La Palma island. The Deep Arvor was deployed on November 1st 2016 by the Spanish Institute of Oceanography researchers from Ángeles Alvariño vessel during the RAPROCAN 2016 survey. After roughly 2 months at sea, the Deep Arvor is currently diving towards to open sea (Figure 1). The float has carried out 11 high-resolution vertical profiles of temperature and salinity so far but is planned to perform about 300 profiles. This is the second time a Deep Arvor is deployed in the same area of study by the Spanish Institute of Oceanography. 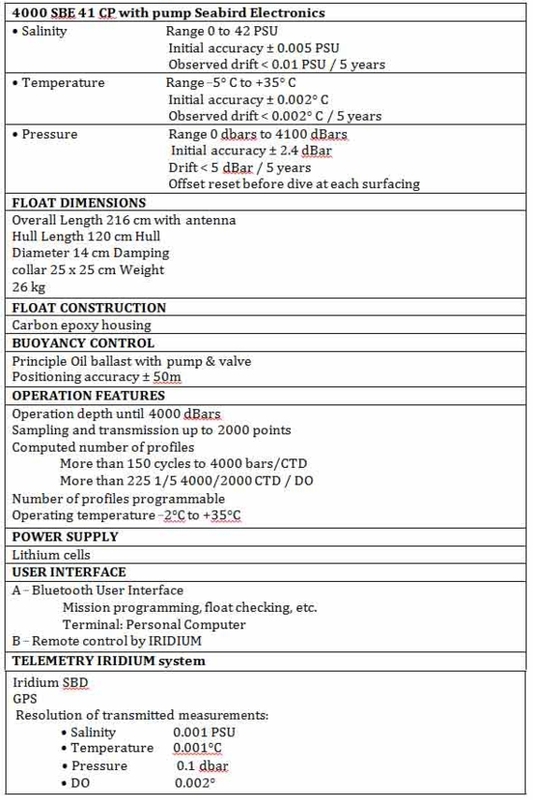 This float version of NKE Instrumentation has been manufactured and developed in industrial partnership with IFREMER for data collection and positioning by IRIDIUM and GPS. Some of its technical specifications are detailed in Table 1. A configuration parameters step is needed before the deployment phase (Figure 2). For our purposes, the float was initially programmed to dive every 5 days measuring temperature and salinity during the ascending phase. After that, the float is planned to dive every 10 days reaching also 4000 meters of depth. One of the aims of this change is to save energy and to extend the lithium battery life as much as possible (3.5 – 4 years luckily). Figure 2. Argo’s configuration step through Bluetooth connection before the deployment phase. The float was deployed on the 1st of November at 29,10.00 ºN and 18,29.78ºW. A first test profile was expected for the next hours but the float suffered some unknown technical issues. 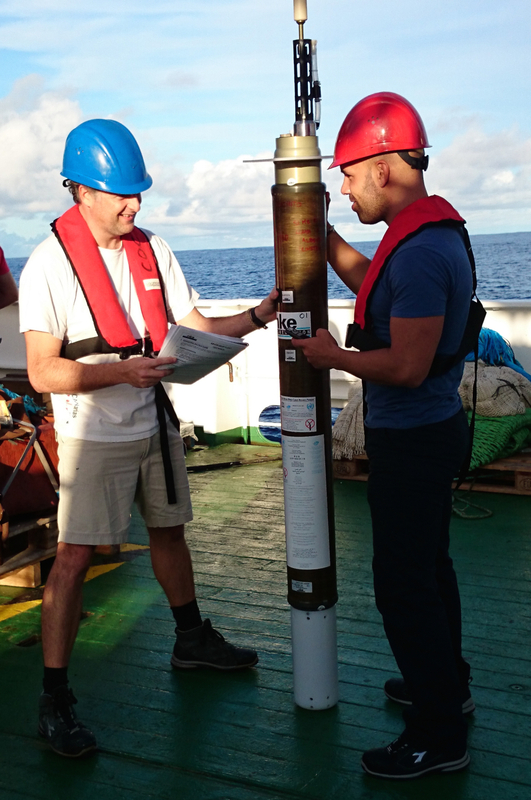 A CTD rosette was carried out in the same area [station 24] to collect oceanographic data. 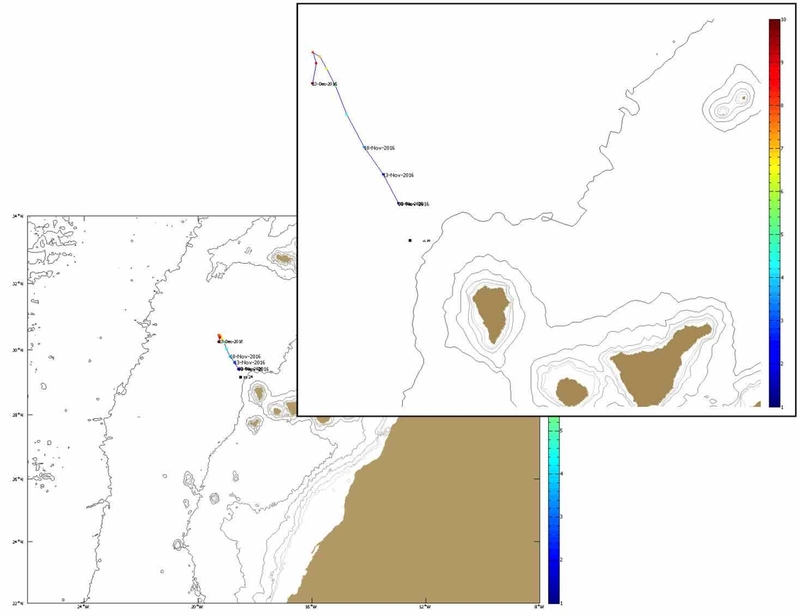 The next Deep Arvor profiles were taken around the same area in order to make a comparison with CTD data. 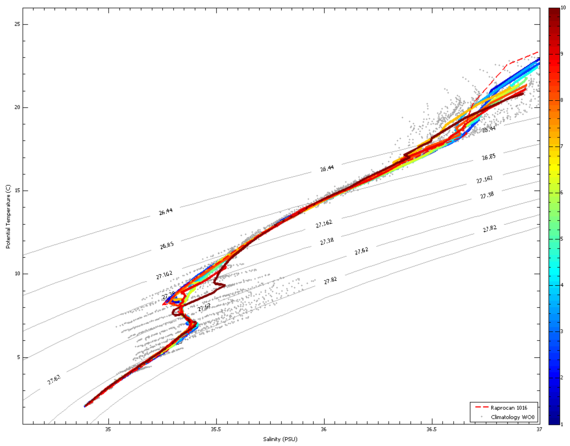 The T-S diagram shows a significant agreement between both set of data (Figure 3). The first Deep Arvor profiles are, within the precision of both equipment, the same as the CTD from Raprocan1016. This confirms that the float is working properly with no significant drifts at the moment. Also in the T-­S diagram, several water masses can be identified at some stretches according to the characteristics of the sampled area (North Atlantic Central Water -­ NACW, Intermediate Antartic Water - AAIW, Mediterranean Water - MW and North Atlantic Deep Water - NADW). Figure 3. T-S Diagram of the sampled area.